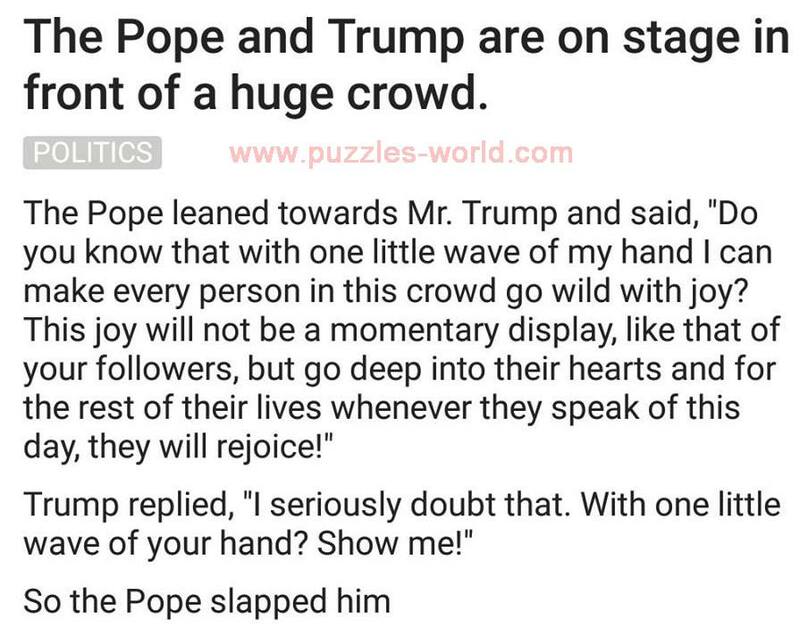 The Pope and Trump are on stage in front of a huge crowd. 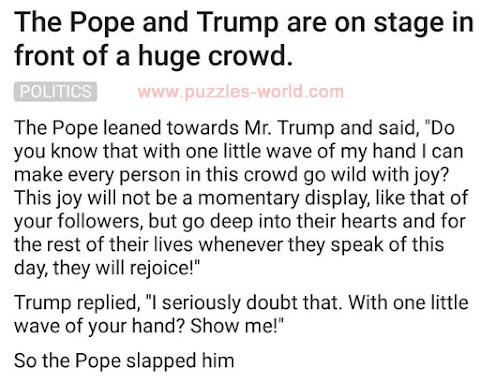 "Do you know that with one little wave of my hand I can make every person in this crowd go wild with joy? This joy will not be a momentary display, like that of your followers, but go deep into their hearts and for the rest of their lives whenever they speak of this day, they will rejoince!"